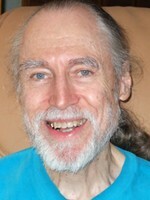 Piers Anthony is one of the world’s most popular fantasy authors. He is most known for his New York Times bestselling Xanth novels, a long-running series filled with humorous puns and adventure. One of his greatest achievements has been to publish a book for every letter of the alphabet, from Anthonology to Zombie Lover. He has also received special recognition for his Internet Publishers Survey that he maintains to help aspiring writers learn more about publishers and services. Piers lives in Florida, which happens to resemble the terrain of his popular Xanth series.